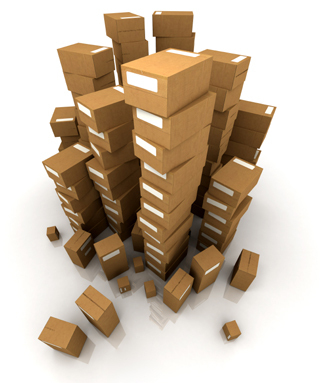 Shipping Information | Document & Storage Solutions | Franklin Mills Co. Most stock items ordered through Franklin Mills Co. are shipped via United Parcel Service (UPS). Product will be delivered standard ground transportation, which typically takes 2-7 business days depending on the ship to location. A street address is required to ensure proper delivery. If an item is back-ordered or requires special handling, you will be contacted by our customer care department. Lead times for non-stock items and made-to-order product will be provided by Franklin Mills. Freight fees and method of shipping will be determined based on the type of product ordered and your delivery requirements. Express delivery is available for any order. Please contact Franklin Mills customer care department for delivery options, rates and lead times. The most important thing to remember about truck freight delivery is the need to inspect the packages at the time of arrival. If a shipping box has damage, or if there is any reason to suspect damage, do not sign a "free-and-clear" delivery receipt. Immediately unbox and thoroughly inspect your shipment. In the event you find damage, save all packing materials. Please write "PRODUCT DAMAGED" clearly on the sheet you are asked to sign. Immediately contact Franklin Mills for assistance in correcting the issue..
All pending orders outside the United States must be formally approved by the Franklin Mills Co. Please contact our customer care department for assistance. 1-888-678-4585.